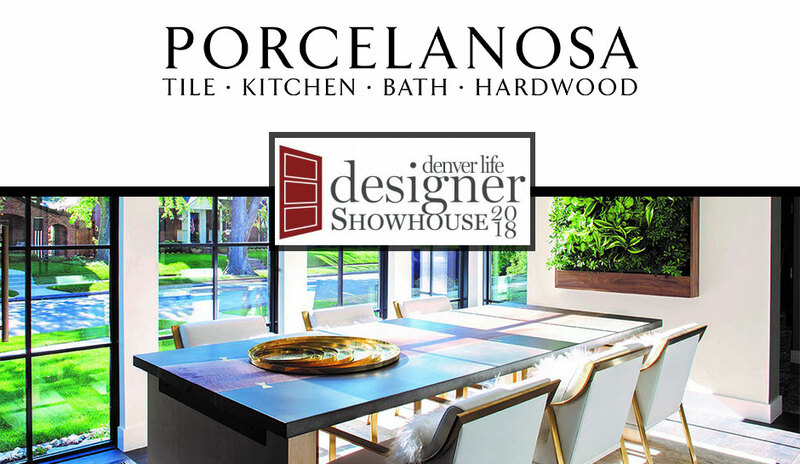 Porcelanosa is this year’s main kitchen and cabinetry sponsor for Denver Life Magazine’s 2018 Designer Showhouse. The project is a collaborative effort between Denver Life Magazine, 15 interior designers, and participating manufacturers, with a goal of raising $50,000-plus for Habitat for Humanity of Metro Denver. The redesigned contemporary four-story home features four and a half bathrooms and five bedrooms. Porcelanosa has contributed an Emotions Kitchen, a new butlers pantry from the Residence Collection, the Pure Line Vanity in the powder room, as well as products for the basement bar and guest bathrooms. The Showhouse will be open to the public September 8-23. Open: Tuesday – Thursday 10 a.m. – 4 p.m. There is a $20 donation per person at the door, all which will be donated to Habitat for Humanity of Metro Denver. Attendees can also enter to win a seven-night trip for two, including airfare, to Mexico. Learn more about the opportunity.